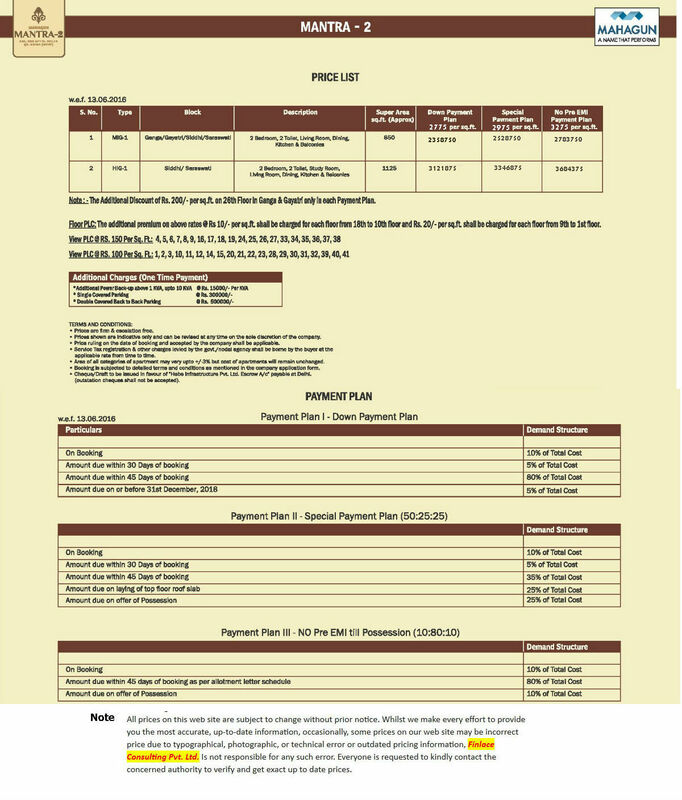 The new residential development at Sector 10 in Greater Noida West. 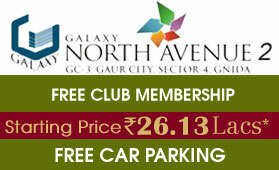 It is a part of Mahagun Mantra which is spread across 9 acres of land. 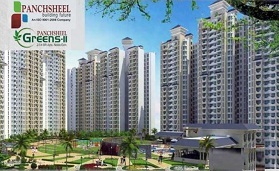 The complex chiefly offer 2 BHK flats in Greater Noida in its 4 towers. The size of these apartments range from 850 sq ft and 1125 sq ft. These living spaces are greatly complemented by a full range of basic to modern amenities. Mantra 2 Noida Extension is a great example of residential project that attends to the needs and requirements of modern homebuyers. 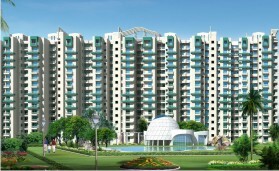 The apartments of this property in Greater Noida have been designed by well known architects and space designers. 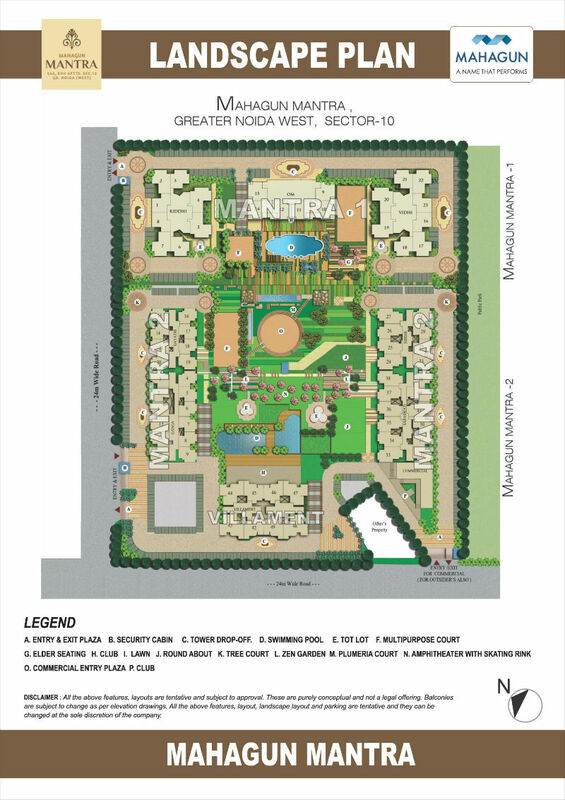 In addition, even the landscape of Mahagun Mantra 2 has been conceived and planned by landscape architects having a great fame. The location of this project is well suited to attend the preferences of homebuyers who are in search of property in Greater Noida. 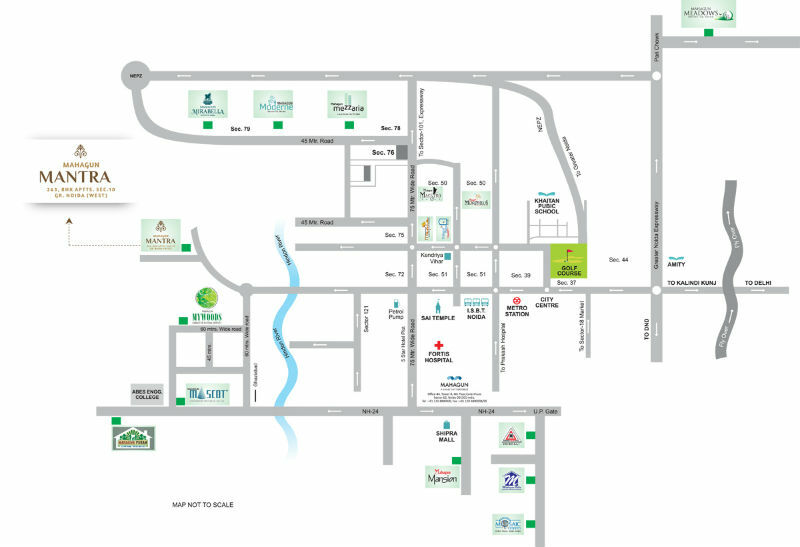 The complex provides easy access to popular road networks like Yamuna Expressway, DND Flyway, NH 24, NH 91 and DND Flyway. It easily connects to Noida with Greater Noida-Noida Link Road. Major infrastructures like schools, colleges, shopping complexes, entertainment centres and office locations like close to Noida. 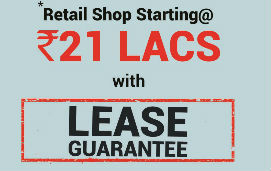 One of the best features about this project is that it lies in proximity with proposed metro station for Greater Noida. In addition, home buyers can also access the popular metro stations of Noida which include Noida City Centre, Botanical Garden and Golf Course metro station. It is also provides access to Noida Sector 18 which is very known for its entertainment and shopping facilities like GIP Mall, Centerstage Mall, Atta Market, DLF Mall and Worlds of Wonder. Knowledge Park 5 is just opposite to the site of project. 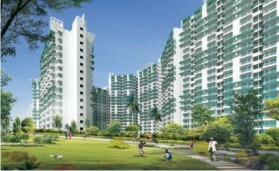 Also, there is a multipurpose commercial area planned in vicinity of this complex. 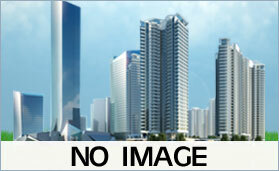 The complex offers different floor typologies when it comes to 2 BHK flats in Noida. The available sizes which homebuyers can invest in are 850 sq ft and 1125 sq ft. These apartments are ideal for small families who are looking for good investment option when it comes to residential category in NCR. The apartments are beset with unique design and appeal. 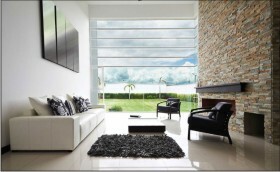 The looks of these living spaces are modern and provide pleasant feel to those who reside in them. The buildings are RCC framed so as to provide earthquake resistance to the complex. Furthermore, these are Vastu friendly properties that provide residents with positive life experience. 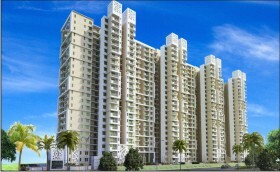 The materials used in construction of these 2BHK flats in Noida are of premium quality and make. 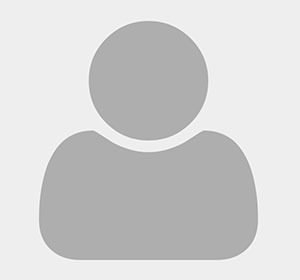 The living spaces are designed by famous architect, Hafeez Contractor. The living and dining rooms of these residential units are decorated with vitrified tiles while the master bedroom uses the laminated wooden flooring. The balconies and bathrooms have ceramic tiles on floor. In addition, there are fittings and fixtures of premium quality used in construction of these living spaces. 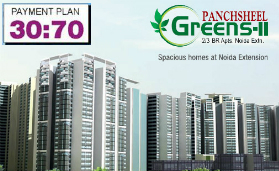 One of the best features of project is that it is pre-certified with gold standards of IGBC (Indian Green Building Council) in a bid to promote green living options to homebuyers. The compound extends number of green provisions like use of recycled water in flush tanks and for horticulture purpose. The compound is also integrated with energy saving devices like solar lamps, LEDs and even an electric charging facility that encourages use of electric vehicles amongst residents of Mantra Noida Extension. 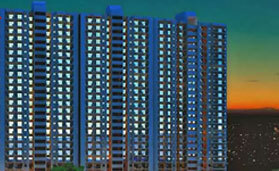 The amenities provides by Mahagun include both basic and modern facilities. The basic facilities available for use include security services, administrative services, water harvesting system, waste disposal system and fire fighting system. 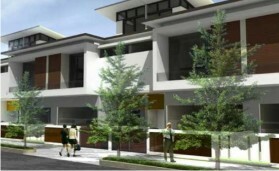 In addition, the complex renders intercom facility and car parking zones for residents as well as visitors. The new age facilities extended to residents of Greater Noida West include clubhouse, swimming pool, gym, multi-purpose court, zen garden, tree court, amphitheatre, Plumeria Court and commercial entry plaza. This property in Greater Noida also extends a full range of sports related amenities to give way to healthy lifestyle for homebuyers. In all aspects, the compound stands up to the expectations of modern homebuyers. Club With all modern facilities.